In the EVICURES project, a design model for future intensive and intermediate care facilities was developed at Seinäjoki Central Hospital. The results of the research conducted by VTT Technical Research Centre of Finland Ltd, on evidence-based design (EBD) and user-orientation were applied to the design work. The project will be realized when Finland's first single-patient intensive and intermediate care and cardiac unit designed in accordance with the model becomes operational in 2018. The massive baby boomer demographic has been impacting industries like housing, travel, pets and healthcare for years, yet one of the biggest boomer-related market expansions is yet to come: senior care. Some seniors will receive necessary care by moving into a facility, but many will be aging at home with the assistance of homecare companies. There may be an opportunity for your company to participate in this enormous rising tide of opportunity. Reminder: the 2017 EFA Expo & Conference Call for Presentations closes June 24, 2016! Health care furnishings with monitoring functions can provide important data for patient care and facility operations. 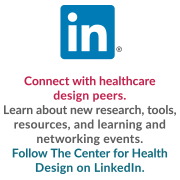 The American Institute of Architects, the AIA Foundation and architect-engineer HOK are joining forces to bridge the gap between research and practice in the area of design and health. Under a memorandum of understanding signed last month, HOK, in collaboration with the AIA’s Design and Health Research Consortium, will hold as many as four focus groups in cities across the U.S. to evaluate existing research and identify practice-focused needs for future research to support designing for health. With lighting equipment accounting for a good portion of a project’s FF&E costs, budget frequently drives healthcare lighting programs. At the same time, healthcare organizations realize that successful designs can pay off. Robert Nieminen, editor at large, interior+sources, recently had a conversation with Michael Gaffney, senior associate vice president at CallisonRTKL in Seattle, about the importance of re-using existing building materials and furnishings in renovation projects. During our discussion, we covered a lot of ground in terms of material trends, and how the industry is focusing heavily on transparency, Health Product Declaration (HPD), etc.—especially now that LEED v4 rewards credits for specifying products that carry an HPD. Did you know that on any given day, about one in 25 hospital patients has at least one healthcare-associated infection? Infection control has been a critical consideration in the design and construction of the built environment for decades with environmental surfaces being a focal point for infection control interventions. However, even with routine and terminal cleaning of room surfaces and medical equipment, these measures are frequently inadequate. The solution is ultimately linked to an integration of design, policies and protocols, and compliance and behavior – a systems approach. The value of taking a patient-centered approach to providing healthcare seems obvious. After all, the patient is the one who ultimately reaps the benefits of good health, so shouldn’t he or she also have the chance to take an active role in his treatment process, guiding his own outcomes?